The timing of the debut was just terrible, as the entire cannabis sector was plunging. I had reviewed the company’s Listing Statement and other documents and had concluded for my subscribers at 420 Investor that the deal seemed too expensive, so I wasn’t surprised to see the poor initial performance. Over the balance of the week, it recovered a great portion of the losses, ending at C$10.95, still down over 4%. This isn’t the first time a new issue in the cannabis sector has received a poor reception. Earlier this year, I wrote about the debut of MedMen, which was very similar. Investors in Curaleaf can take comfort in not only the full recovery of MedMen since then but also its advance to new highs subsequently. In fact, the entire U.S. cannabis sector is hot right now. Origin House, which recently changed its name from CannaRoyalty to better reflect its business model, soared to an all-time high on Friday. I am quite excited about what lies ahead for American cannabis companies. Private companies that have assembled diverse operations across multiple states are rapidly heading to the public markets. We list them at the New Cannabis Ventures Cannabis Stock IPOs and New Issues Tracker. We also just introduced a new index, the New Cannabis Ventures American Cannabis Operator Index on October 31st. In just two days, the index advanced a stunning 13%. I am certain it won’t keep up this pace, but I anticipate that we will see many of these stocks follow the path we have observed in Canada over the past few years. The New Cannabis Ventures Canadian Cannabis LP Index has advanced 856% since the end of 2015. We track the revenue of leading companies in North America, and the American companies outpace their rivals in Canada but have lower valuations, which is due primarily to the risks and costs associated with being federally illegal in contrast to the federal legality in Canada. Still, the valuations in the U.S. appear to be reasonable relative to the Canadian peers, even taking these factors into account. Curaleaf, for example, reported sales of $14.6 million in Q2, representing 234% growth from a year ago. This level of revenue is below only Canopy Growth and is tied with Aurora Cannabis, though the market cap of Curaleaf, at C$5.6 billion is about 40% lower. Trulieve and MedMen both have higher sales presently and lower market caps than Curaleaf. Of course, what counts isn’t so much today’s revenue but where the companies will be in the years ahead. A lot of the growth for the American cannabis operators will come from consolidating a highly fragmented market. Last month, we saw the first public company merger announcement, with iAnthus agreeing to issue shares for the U.S. assets of MPX Bioceutical, which will spin out its international shares into a new company MPX International and distribute them to existing shareholders at the record date in the future. 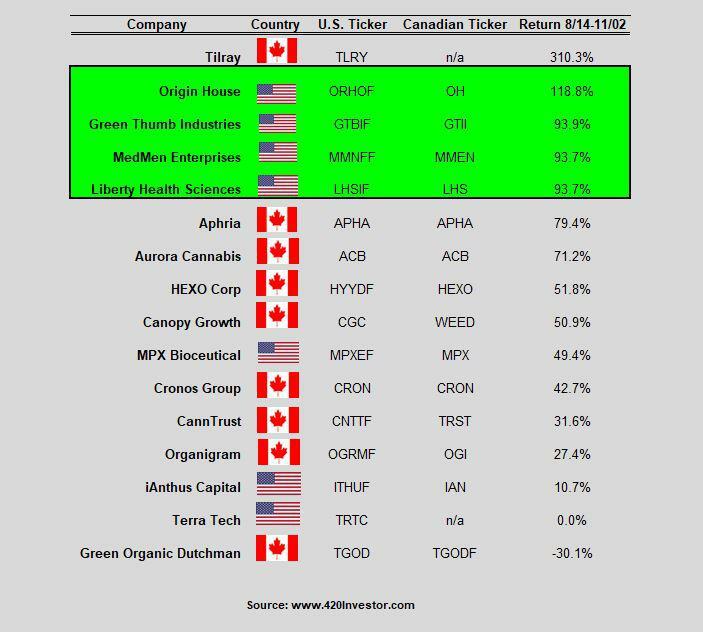 Canada has seen several public company mergers over the past few years, with Canopy Growth acquiring Bedrocan Cannabis, Mettrum and Hiku Brands, while Aurora Cannabis has acquired CanniMed and MedReleaf. 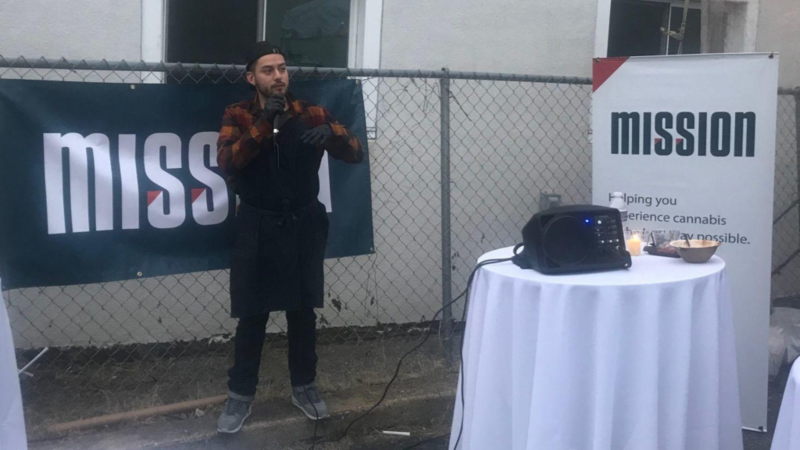 While there is a great deal of risk to the American cannabis industry due to federal illegality, the opportunities are tremendous given the market size. Companies like Curaleaf and its peers that are building multi-state operations each have the potential to reach in excess of $1 billion in annual sales as the legal markets develop and more states move to embrace medical and consumer cannabis. So, while Curaleaf may have flopped in its debut, the future seems bright for the sector nonetheless, and don’t count out Curaleaf! Disclaimer: I mentioned Aurora Cannabis, Canopy Growth, iAnthus and MPX Bioceutical, which are clients of mine at New Cannabis Ventures. We disclose all public company clients here. I do not own any stocks mentioned in this article, though I may include them in one or more model portfolios at 420 Investor. I have been following the cannabis industry since 2013 with a focus on the publicly-traded stocks and am the founder of online community 420 Investor, the first and still largest due diligence platform focused on the publicly-traded stocks in the cannabis industry.